Room was relatively comfortable, with plenty of blankets for the cold winter nights (important because insulation is not great). However, a couple of lights didn't work and the door is a bit tricky to lock, and forget about sleeping peacefully at night without earplugs because the street noise is horrendous. Even as late as 2 to 3am, there'd be loud voices and incessant car horns, non-stop. Through the walls, you can hear everything. The wifi in the room also stopped working from the 2nd night on - if I needed to get connected, I had to head down the uneven stairs to the lobby. Aircon didnt work, everything in paharganj is overpriced and quite bad. I decided to try something different to my usual hotel in the area, and this place seemed like it could be a bargain. It was not quite that, you get what you pay for, but it was satisfactory nonetheless. It is located at the distant and dingier end of Arakshan Rd. The hotel is quite small, with small rooms packed tightly together. I was pleasantly surprised that everything in the room actually worked, including in the bathroom, and there were sufficient powerpoints to conduct normal modern life. However, there is no wifi in the rooms, and if you want hot water you have to call reception and they then turn on the geyser in your bathroom. The staff were very polite and hospitable. The only main drawback was that with the rooms so tightly packed together, you could get unlucky and have noisy neighbours wake you up at 4am discussing the mysteries of life, listening to music, or just having a random screaming session. Good but has poor wifi. Staff behaviour was good and reliable . Good location near railway station. The Manager MR U Singh is very polite and helpfull. Reasonable price band. Clean and tidy room with hotwater. Great Manager and staff. Room service needs to be improved. 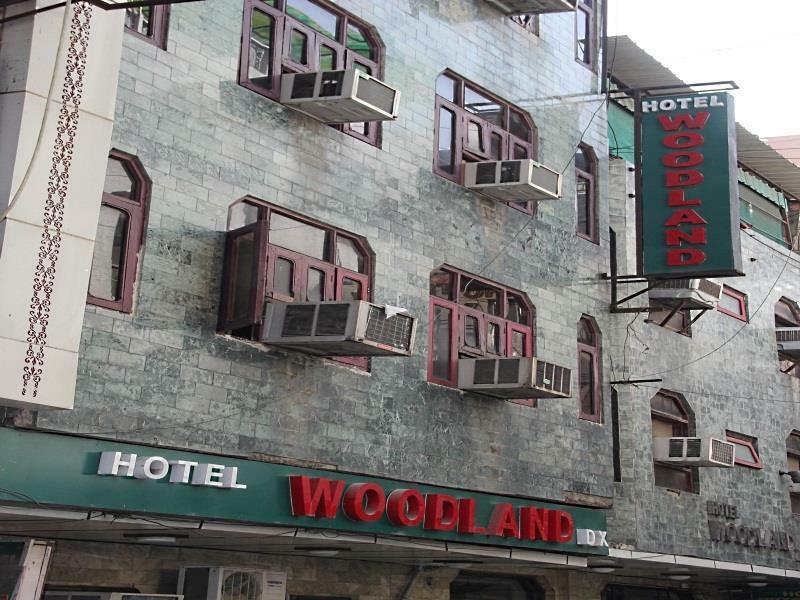 Good hotel to stay near the station at a reasonable price. I shall book it again. Good all around. I spent a couple of days here and got just what I expected. Teh TV didn't rally work for me, but the room had warm water, clean and comfortable bedding, and friendly people at the front desk who promptly got me an electrical converter and pointed out the best places to change money etc. If you take the MRT to New Delhi station, just get out on the west side and go northbelow the overpass. There is a huge sign for Arakshardan Road. a blocklater. Turn left and less than five minutes walk, you'll see Woodland on the left (South Side). I stayed on the back side, and it was quiet for Delhi. I got an international call,a nd they promptly routed it to my room . No charge of course. I'll stay there again before I fly out, but remember, the Metro that used to go from New Delhi Station to the Airport hasn't been working since the summer of 2012. We were very comfortable, the rooms and toilets were clean. The air conditioner was efficient. The water heater (geyser) was in the bathroom, and was efficient. Room service was prompt. The food was above average and reasonably priced. Staff was cordial and cooperative. The location is not great, as it is a busy street, but for this price it was OK. Transportation was available round the clock. 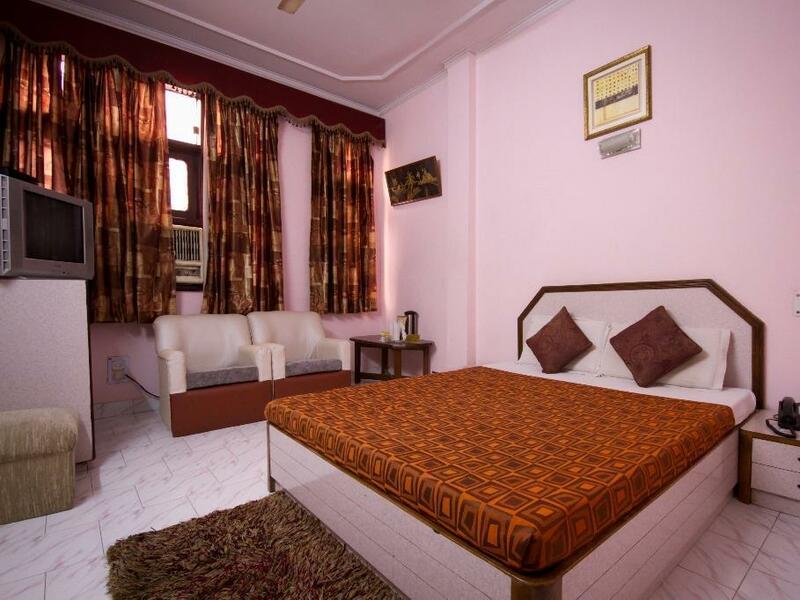 good budget hotel near newdelhi railway station.staffs are good. on arrival the owner of the hotel gave us the pick of 5 rooms including the hotel across the road that he also owns. all we required was a western toilet. and we got it. the room was basic and clean. they were decorating at the time but we had no problems with noise. Room Service Very Poor. Staff sleeping on the floor all over. Room service hardly any response. Hotel staff was good and co-operative. The Room size & Toilets were very small. Also the Toilets were Indian style which was a problem. สถานีรถไฟ New Delhi - ระยะ 0.75 กม.